International Dot Day: Get Involved! 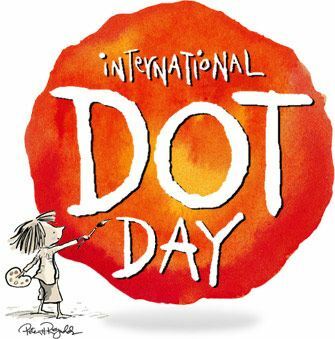 International Dot Day is coming up on, around, or during the week of September 15-ish. Getting involved in International Dot Day is easy. It is free, flexible and open to any classes from all around the world. Participating in International Dot Day is simple. Visit www.thedotclub.org/dotday Here you can read up on the day, find ideas and download a participation handbook. Sign up to participate. This is just a simple survey the organisers use to help plan events around International Dot Day. Read the book to your class. If you or your library don’t have the book, you might opt to view a YouTube video or purchase the interactive online version. Express yourself in any way. This is where you can get creative. Your dot theme can be incorporated into story writing, artwork, songwriting, photography, dance, cooking, performances or more. Publish! If you have a blog, this is the perfect platform to show the world how you have celebrated the day. Connect. International Dot Day is as much about celebrating creativity as it is about connecting and collaborating. There is a page on the International Dot Day website which has been set up to help you connect with others. There are links to a Google Doc and social media channels. There are many teachers looking to connect their class through their blog or Skype etc. Such wonderful possibilities for your students! 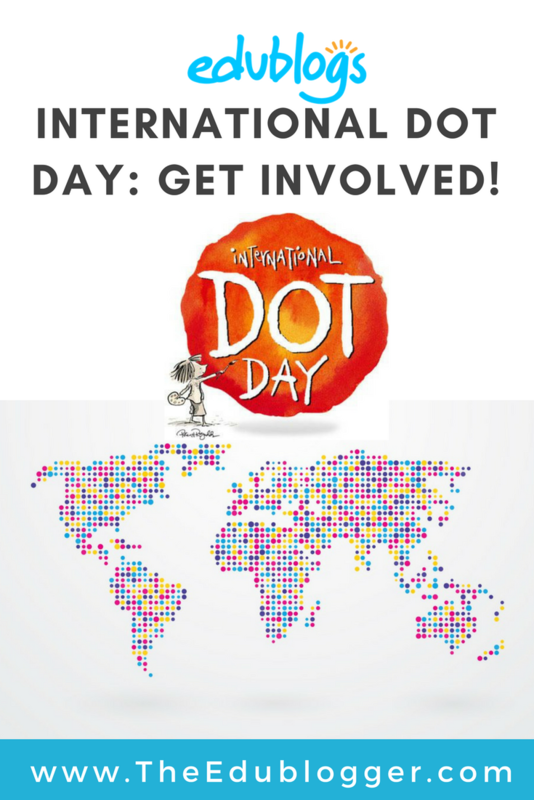 International Dot Day is something you can celebrate throughout your entire school, with your class or by connecting with other classes around the world. Here are a just a few ideas from recent International Dot Day bloggers. 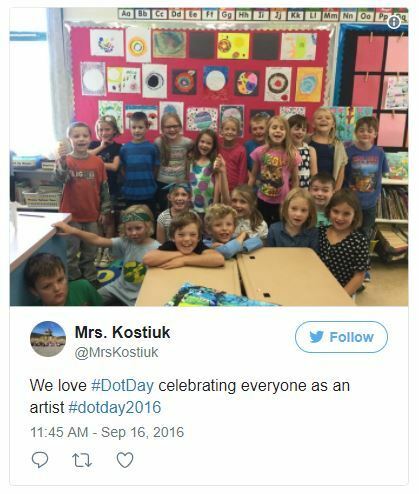 Karen Arlington’s school has been participating in International Dot Day since 2011 and you can check out some of the creative ways her students have celebrated here. Last year, Karen’s first grade students went on a “dot hunt” and took photos of dot shaped objects. Her video is embedded below. 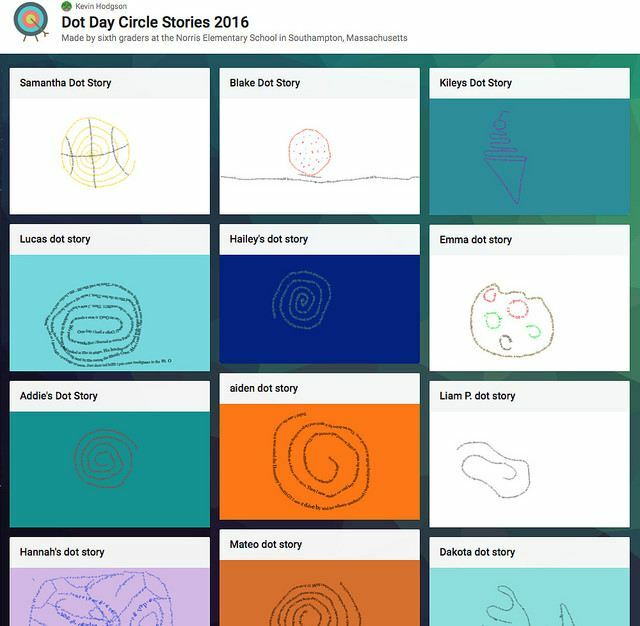 Kevin Hodgson’s sixth grade students wrote circle stories for the 2016 International Dot Day which they published in a Padlet. Last year Mrs Kostiuk’s class participated in a range of activities from dodge ball to dot-to-dots to art and science. What fun for these third grade Canadians. Jen Bearden’s first grade class from Missouri watched a catchy video before completing some dot artwork and playing dot games. 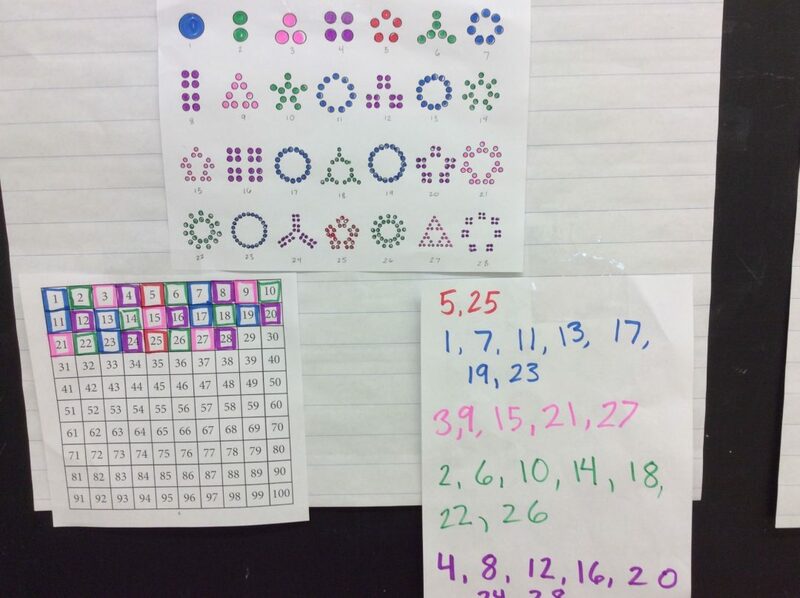 Team 2 Eagles students worked on maths problems with a dot theme. The grade two students used this video to reinforce how your brain grows when you make mistakes. WIM 3 Day 5 from YouCubed on Vimeo. John Long worked with students in Florida to create this “dot-cumentary” for International Dot Day. How will you make your mark on International Dot Day this year? Please leave a comment with your ideas! Never heard of Dot Day until today. This is the first time I have every heard of Dot Day. I think it is a great idea to celebrate it with Kindergarten and First Graders. It is a great for children’s creativity and and away to express themselves. I will surely have this in my lesson plans this Sept. 15th. Fantastic! Your young students will love it. We hope they have fun on Dot Day. We will also celebrate Dot Day in Tandil, prov of Buenos Aires, in Argentina, next week. I love the story and its message, and I find the idea of connecting children from different parts of the world so interesting that my youngest art students will connect through Skype with children from USA next week. It will be their first time ever to do that, so were all quite excited. We’ll also invite parents to our class to create a collaborative dot mural using drawn, collaged & painted dots. Have a great Dot day week! It’s wonderful to hear how you are embracing Dot Day in Argentina! I bet the children are really excited to Skype. I love that you are even getting parents involved. Do you have a blog at all? Thanks so much for taking the time to share you pictures. They’re lovely. It sure looks like the kids are having fun getting creative! This is a great cause, I love art and it looks really cool, inspiring kids to do things like this, thank you. We agree, Tammy. Have fun on International Dot Day! I drew a Jake Paul and Dr. Phil ship using dots last year. I love dot day. I have never celebrated International Dot Day before, so I am looking forward to joining in with my grade 3/4 class next week and sharing the fun on my class blog! Thanks for sharing these great ‘dotty’ ideas from around the world. There are so many inspiring and creative teachers out there! I’m so glad you will be participating this year! I had only vaguely heard about it before this year too. I love how easy and flexible it is, and it promotes a great message. Can’t wait to see what your class gets up to!